The UK housing market is facing a unique combination of pressures, which could have major consequences for first-time buyers and sellers alike. In particular, the long-term trend of climbing house prices may be losing steam – but is this good news or bad news? Five straight months of falling house prices in London is just one of the signs of the jitters in the UK housing market. Over £15,000 has been shaved off the average London house price, and the effect has spread wider across the South East, where prices rose in January by only 0.2 per cent. UK-wide, January delivered the smallest house price rise for seven years. Northern England seems less affected, with price rises of 2.6 per cent in the North West and 1.8 per cent in the North East, but only those regions and Yorkshire achieved rises over 1 per cent, while Wales, the East Midlands and Greater London all saw decreases. One reason for the slowdown is fewer buyer enquiries, which in December fell for the fifth month in a row. Lack of supply in some areas may be to blame, which in turn may be exacerbated by nervousness in the run-up to Brexit. Uncertainty over the economy is having a measurable impact on potential buyers, who may wish to delay big financial commitments, and on potential sellers too, some of whom will prefer to sit tight rather than sell into an uncertain market. There are reasons to believe that the slowdown could have a generally positive effect. The market dithering should be mitigated by the fact that the Bank of England has nearly achieved its target rate of inflation. In December rates fell to 2.1 per cent (the target is 2 per cent), which means the Bank shouldn’t need to increase interest rates to keep inflation low. This will further encourage first-time buyers (as well as being good for existing mortgage holders too) as it keeps borrowing relatively cheap. Affordable lending coupled with lowering prices should help to lubricate the housing market as soon the UK has more in the way of economic certainty. What does the current property market mean for buyers and sellers? The lending market is alert to the current conditions and is working hard to produce further incentives for new buyers. Some banks are offering additional deals in a bid to urge people to get their mortgages in place now. Santander for example is offering £1,000 cashback on mortgages over £75,000, while Barclays has a similar deal. Meanwhile Lloyds hopes to undercut both with a new 100 per cent guarantor mortgage – available to lenders with no deposit who have family that will guarantee the loan. On the flip-side, some lenders have been withdrawing their mortgages for self-employed buyers, among them Secure Trust Bank and Fleet Mortgages, blaming the sluggish housing market. Self-employed buyers may therefore struggle even more than usual to secure a mortgage. Nevertheless there are reasons for other first-time buyers (i.e. those not self-employed) to be optimistic. 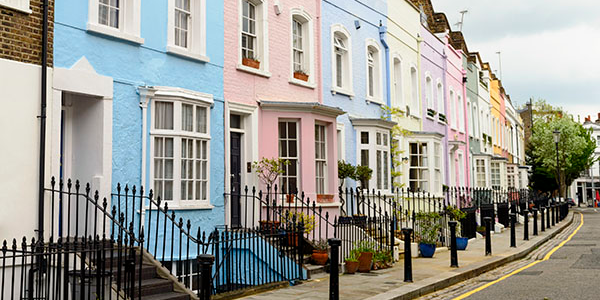 Low interest rates coupled with falling house price growth may provide a long-awaited chance to get on the property ladder – provided that sellers can be found. The lurking risk is that if the market falls too steeply, fewer homeowners will be willing to sell and make a loss – and may even be unable to sell if they enter into negative equity. This was seen in the 2008 house price crash, when prices fell 18 per cent from their peak. The crash also prompted much more stringent lending policies from mortgage lenders, which remain in place today. So although a small price drop will be welcomed by first-time buyers, they should be careful what they wish for. When considering buying or moving home, it’s always a good idea to speak to an independent mortgage broker, a specialist with in-depth knowledge of the market, who’ll be able to look at a range of mortgage products which suit your individual needs.